HyperX Cloud II gaming headset stands out as a showcase of the latest advances in entertainment technology. This special headset is distinguished by its bold technological improvements including the superior audio performance, 7.1 virtual surround sound and the digitally enhanced microphone. Whether you prefer a low, mild or a high tone, this headset is designed with the promise of delivering crystal clear sound that surpasses ordinary standards by a wide margin. The headset comes with an advanced audio control box that allows you to toggle the surround sound 7.1 with remarkable convenience. Judging from its distinguishing merits, this headset is ideal for an immersive gaming experience, high quality music and a great movie experience. One distinguishing feature about this headset is the superiority of its audio performance. The designers included HiFi capability with 53mm drivers to optimize on performance. The net effect of these enhancements reflects in the top quality performance in gaming or other professionally audio environments that require clear and powerful sound projection. The immersive gaming experience that many reviewers associate with this headset derive from the superior audio effect of the performance. You need such a headset to enjoy the full sound intensity of a game, music or video. The effectiveness of the audio control box is clearly manifest in its user-friendly appeal. One of the key functions of the audio control box is to ease the toggling of the surround sound 7.1 with a simple touch of a button. The control box is fitted with an independent microphone and audio controls that allow for quality enhancement. This aspect of the design is also meant to enhance the convenience of operating the HyperX Cloud II gaming headset. 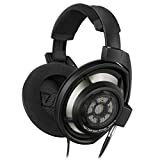 Obviously, the makers of this headset intended it to achieve optimal HiFi gaming experience through the internal sound card DSP, which amplifies both the voice and the audio. In part, the performance of the HyperX Cloud II is measured by the distinct effect of the 7.1 virtual surround sound. The enhanced quality of sound is achieved by the generation of virtual surround sound experience. In turn, the special sound experience leads to the creation of distance and depth that enhances the quality of the game, music and movie experience. One notable advantage about the audio surround sound is that it is a plug and play system. As such, you do not need to use any drivers to activate the system. The resultant sound is crisp and noiseless. The point of difference between the digitally enhanced microphone and some random microphone lies in the capacity for noise cancellation. The quality of sound produced by this highly advanced microphone is managed and improved by the USB control box when connected. The functional strength of the microphone is further improved by the enabling of echo cancellation and the AGC functionality. These highly effective features ensure that the microphone achieves top quality voice clarity and maximum reduction of background noise. The makers of this headset included a detachable mic that can be unplugged if you want to listen to music or plugged in for a great gaming experience. This special headset is made with advanced memory foam ear cups, which serve the user in two main ways. First, the ear cups are highly enhanced to optimize on comfort. The cups fit comfortably on the ears in ways that enhance the surround sound music. Secondly, the shape and the design of the ear cups ensure that the quality of sound is distributed evenly to enhance the aspect of quality. Moreover, these features reflect a high quality of aesthetic enhancement that align with the prestige that attaches to their utility value. Visually, the are profoundly stylish, fashionable and trendy. The memory foam headband of the HyperX Cloud II gaming headset is uniquely designed to optimize on the element of comfort. The designers ensured that it holds comfortably on the head for support and convenience. Apart from the advantage of comfort, the headband is also enhanced with bold aesthetic enhancements that are classy and highly pronounced. Despite their large size, the headband is lightweight and does not burden the user even if they are used for long hours. Besides, these items are covered with a characteristic soft texture that poses no harm on the user’s skin. The adjustable nature of the headband makes them ideal for for people with different head shapes and sizes, or those different hair styles. * Designed with noise cancelling technology. * Remarkable capacity for cancelling echos. * No driver needed to be installed. * Crystal clear tones and enhanced bass. * Might feel somewhat heavy for some people because of the metal and leather material. * The designers did not include a mute button on the headset. Q. Is it voice chat optimized? A. Yes, the device is voice chat optimized and TeamSpeak Certified. Q. Are these headsets plastic or metallic? A. The headsets are mainly metallic and leather. A. The weight is 9.6 ounces. So far, these headsets are rated 4.3 stars out of 5. It has been roundly endorsed by 65% of the reviewers who support their views on the factors of great sound quality and the noise cancellation effect. 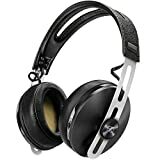 Other reviewers consider these headsets as aesthetically superior to many alternatives on the market. The high quality of the 7.1 virtual surround sound also appealed to the majority of the endorsers. Those who gave low ratings opined that the headsets are uncomfortably weighty. Overall, the majority of reviewers expressed satisfaction with the functional superiority of the headsets. The HyperX Cloud II ranks are functionally superior to many ordinary headsets because of their exceptional capacity to cancel background noises and echoes. As a result of this characteristic, you are always assured of a crisp sound quality, which enhances your gaming or video experience. These devices come with a very clear mic that enhances the quality of chatting. You do not need any bulky software to get these headsets working. The headsets are highly recommended for movie enthusiasts and those who crave for an immersive gaming experience.